A few minutes of counseling in a primary care setting could go a long way toward steering people away from risky drug use — and possibly full-fledged addiction, a UCLA-led study suggests. 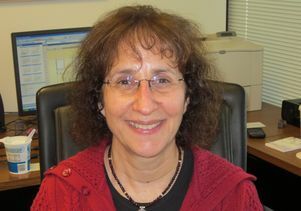 People who participated in the Quit Using Drugs Intervention Trial, or Project QUIT, which was a randomized controlled trial conducted in medical clinics, reduced their risky drug use by one-third when primary care doctors and health coaches provided them with brief interventions during a routine visit and follow-up phone calls, said Dr. Lillian Gelberg, lead investigator and professor of family medicine at the David Geffen School of Medicine at UCLA. The researchers recruited 334 adult primary-care patients at five federally qualified health centers in Los Angeles County. People were chosen among those whose scores on the World Health Organization’s Alcohol, Smoking and Substance Involvement Screening Test indicated risky drug use. The study subjects were randomly assigned to one of two groups: 171 in the intervention group and 163 who served as controls. The clinics serve low-income communities with high rates of drug use. Intervention group participants received brief face-to-face advice from their primary care provider during their visits, a drug health education booklet with a card to report their drug use, and watched a two-minute “video doctor” reinforcing the clinician’s message. During the brief advice, which typically lasted three to four minutes with only three lasting 10 minutes, the primary care provider discussed drug addiction as a chronic brain disease, the need to reduce or quit using drugs in order to avoid addiction, the physical and mental effects of drug use, and how use of multiple drugs can accelerate the progression toward addiction. They also received one or two 20- to 30-minute follow up telephone coaching sessions two and six weeks later. The control patients were given a two-minute “video doctor” presentation about cancer screening and an information booklet on cancer screening. They were also given information about cancer screening, rather than about drugs, to provide them some level of attention in an area unlikely to affect their drug use. They did not receive the advice about drug-use reduction from the primary care provider or the follow-up phone coaching sessions until the study was completed. After three months, intervention group participants reported that they used their favored drug an average of 3.5 fewer days in the previous month compared to control group participants. This was a 33 percent reduction in their drug use. The study has some limitations. The results are based on participants’ self-reporting, so the study may suffer from reporting bias. However, researchers found that based on urine testing, under-reporting of drug use was low. Additional limitations: not everyone in the clinic waiting rooms agreed to participate, which could impact the study’s generalizability; there was some attrition during the study, though the 75 percent participation rate at follow-up compares to other studies of low income patients and drug use; and the three month follow up was relatively short. There is a need for larger trials to gauge the QUIT program’s effectiveness, but based on these findings the project appears to have the potential to fill an important gap in care for patients who use drugs, particularly in low-income communities, Gelberg said. “In the U.S., the recent expansion of health care coverage through the Affordable Care Act and the Mental Health Parity and Addiction Equity Act has broadened behavioral health coverage to some 62 million people, providing multiple opportunities for brief intervention programs for risky drug use in community health centers and other primary care settings,” she said. Study co-authors are Ronald Andersen, Abdelmonem Afifi, Barbara Leake, Lisa Arangua, Mani Vahidi, Kyle Singleton, Julia Yacenda-Murphy, and Steven Shoptaw of UCLA; Dr. Michael Fleming of Northwestern University, and Sebastian Baumeister of the University of Regensburg and University Medicine Greifswald. A grant from the National Institute on Drug Abuse of the National Institutes of Health (R01 DA022445) funded this study.